Saturday evening May 17 2014 I attended a dance production by ADF's Tony Johnson and it was my first visit to the Ark. In addition to an excellent dance program, experiencing The Ark was delightful. And now, knowing the history of the building adds to the pleasure. 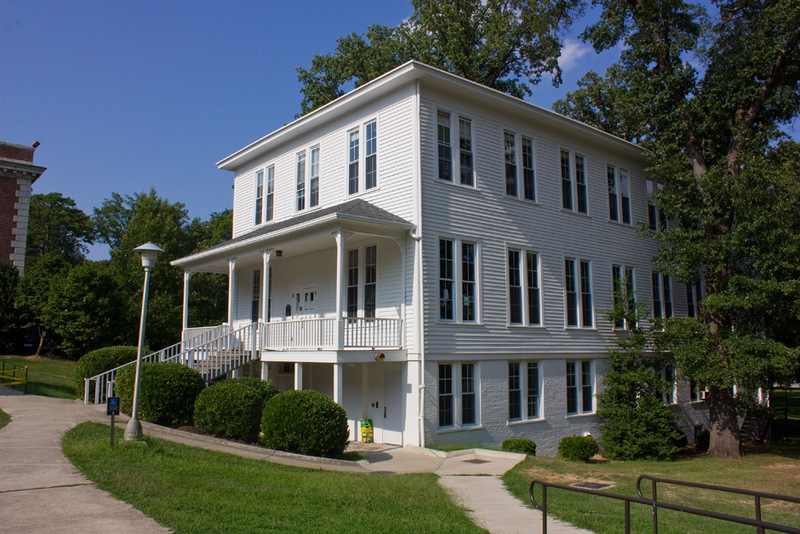 Built and furnished in 1898 with a donation from Benjamin N. Duke, the building was officially named the Angier B. Duke Gymnasium in honor of his son who was then fourteen years old. The building is probably the first college gymnasium in the state. The director of the gymnasium from 1899 to 1902, Albert Whitehouse, was the first paid physical education director in North Carolina. Whitehouse proudly boasted of a large and well arranged building equipped with the latest gymnastic equipment, a running track, baseball batting cage, bowling alley, swimming pool, trophy room and shower baths. Formal instruction in physical education took place between Thanksgiving and Easter with outdoor activities scheduled in the fall and spring. For years campus literature has proclaimed that the Ark was the site of the first intercollegiate basketball game in the state. 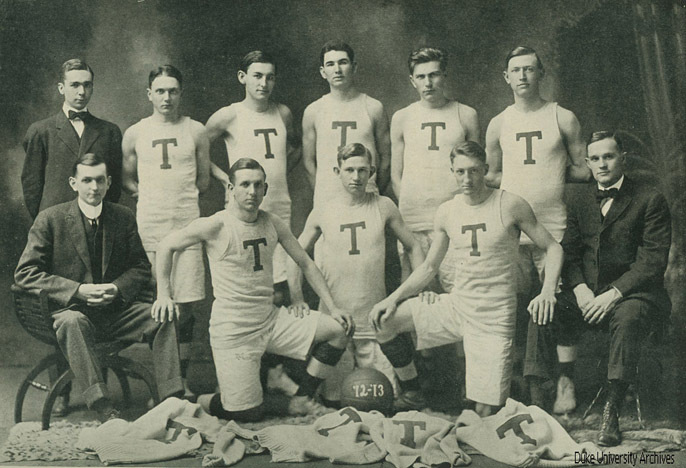 On March 2, 1906, Trinity played host to Wake Forest in a game which Wake won 24 to 10. When Trinity made plans for the game it may have been the first scheduled. However, the gym had to converted for basketball, a team had to be recruited and trained, and exams had to be completed. By the time the game took place Wake Forest already had played Guilford College. It remains the first so-called "Big Four" basketball game as nearby schools -- Duke, Carolina, State and Wake Forest -- developed intense athletic rivalries." The court in the Angier gym measured 32 by 50 feet, as compared with a modern collegiate basketball court of 94 by 50 feet. "When the more modern Alumni Memorial Gymnasium opened across campus in 1923, the original gym assumed a new identity. Over the next decade as the building was put to a variety of uses, its long narrow bridge-like walkway forced people to enter "two by two;" hence, it became commonly referred to as "The Ark." The long walkway had been a gateway to a race track which was on the site when it was [Blackwell Park]. The Ark, itself, is built from lumber salvaged from the grandstand which was demolished when the fairgrounds was donated for the site for Trinity College. No longer needed as a gym, the Ark became the cafeteria for men in 1923. The women had their own cafeteria in their new Southgate dormitory. When the new Union opened in 1930, the Ark became the campus laundry. When West Campus opened and the original campus became exclusively for women, the students felt the need for a social center for relaxation and dancing. Though convenient to downtown, many students had to remain on campus due to financial constraints caused by the Great Depression. The Social Standards Committee of the Woman's Student Government and individual classes set about to renovate the Ark. They purchased curtains for thirty-six windows, wicker furniture, a piano, and Ping-pong and bridge tables. One class spent $175 for a combination radio and victrola and all four of the classes in residence contributed toward refinishing the floor so one could dance in socks without worrying about splinters. The student bands so popular in the West Campus Union Ballroom performed in the Ark every Saturday night and one Wednesday evening per month. Les Brown, Class of 1936, whose Band of Renown is still popular today, began his career in entertainment with one of the student bands that played regularly in the Ark. The Ark became a popular campus meeting place. As The Chronicle reported "Its past was noble; its present is enduring. Who can predict its future?" Today the building continues in its eclectic tradition. It is primarily used by the Duke Dance Program and the American Dance Festival. On occasion in the summer it has had a snack bar--called the Barre--for dance festival participants. The undergraduate Duke Photo Group has its darkroom in the building. 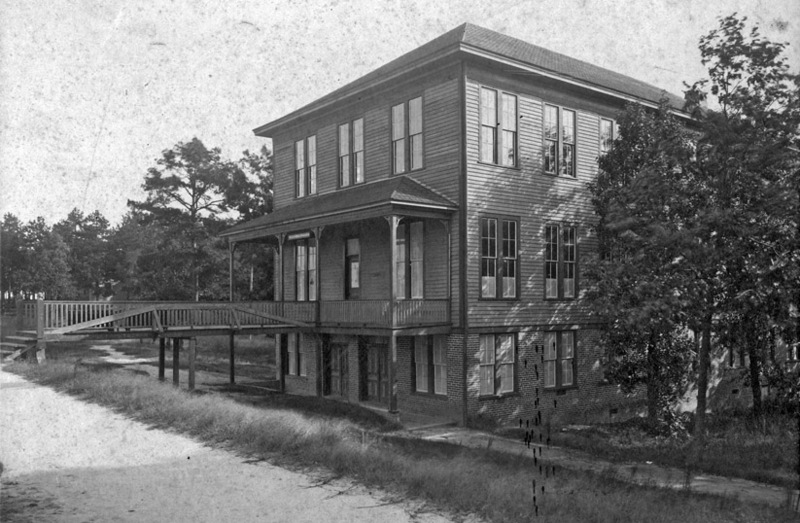 Few buildings on campus have had such a varied and student-centered history.